The King James Version of the Bible is wholly believable, and Holy believable. The New Age Versions are wholly unbelievable. Anytime I refer to the Bible, it is the authorized King James Version as the authoritative depiction of Gods Word. John 2:22 says anyone who says Jesus is not the Christ is a liar, and anyone who says this is antichrist. The New Age Versions such as the New International Version, New American Standard Version, Good News for Modern Man, The Living Bible, The Message and New King James Version are antichrist bibles. 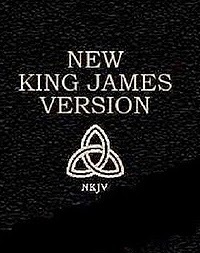 Some are so blatant as to put the sign of 666, on the front of the New King James Versions. The corruption of the Bible started with the Gnostic Christians and the Alexandrian texts. The King James Version has the research and vast majority of “original texts” agreeing with it. The “Christian” translators have established the King James Version to be the authentic “Word of God”. The “faux Christian” translators deviate from the intentions of the Holy Spirit of God. Archeology continues to prove that the King James Version is the closest to the original writings of the men who followed the leading of the Holy Spirit: for instance, the Dead Sea scrolls show that the Old Testament in the King James Version is the same as it was 2000 years ago, while the New Age Versions deviate from them. Matthew 5:20 says: “That except your righteousness shall exceed the righteousness of the scribes and Pharisees, ye shall in no case enter into the kingdom of heaven.” Do you think that if you, as today’s scribe, alter the word of God, even to the point of the opposite meaning, you will be able to avoid Hell? Everything spiritual is not of God. There are two forces active in this world; the GOOD God and the EVIL Satan. The New Age Bible translators as well as groups like the Freedom From Religion foundation are being lead by Satan whether they are aware of it, are mislead or simply knowledgeably fighting The Lord God Almighty. New Agers are doing their best to bring about the ‘end time’ one world religion. By watering down the Word of God and joining it to Satanism and other religious fervor, they hope to have the one world religion in place for the Antichrist. A good example of this is Chrislam, which started in the 1980’s in Africa and tries to combine Islam with Christianity. The Lord knows everything; including the future. He knew that man would turn away from Him, to his own lusts, on a regular basis. He prospers man: at the point when man is satisfied with his possessions and prosperity he will turn away from his need for God. Focus on Prosperity brings about self love and sufficiency thinking. The Hebrews did it on a regular basis, and our country is in the midst of it. Today, more and more intelligent men and women are coming to the knowledge that the Authorized King James Version is the truest, if not the only, clear representation of the Word of God. The New American Standard Version, by Philip Schaff, contains 30,000 deviations from the King James Version. The concept that God (Jehovah, YHWY) was only for the Jewish people is a lie, spread by the Devil. The Jews were instructed to proselytize the world. The fact that they did this is reported throughout the Bible. Those who accepted the God of Israel were accepted in the community and those who did not were not accepted. There were many who followed the Jewish God, who were not “Sons of Abraham”. An example of this was the non-Jews who went out of Egypt with the Jews: they would be held to the covenant of the Lord. Jesus was part of Gods plan from the beginning because God knew that neither Jew nor non-Jew would be able to live up to fulfillment of God’s law. The anti God forces have been around since the beginning: Satan is the sponsor of them all. The “other gospels” that Paul spoke about were those Jews who couldn’t give up the additions to the laws imposed by men and the “Gnostic Christians” who distorted the message of the gospel, among others. Deut. 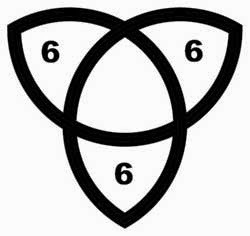 6:4 describes the trinity, Elohim = plural (Gods) while Jehovah = (echad) is one. The proof text of the trinity is 1 John 5: 7-8, which is left out of the new versions. Luke 20:46 says: “beware of the scribes”. Kurt Koch said: “It is one of Satan’s specialties to hide under a Christian disguise”. One of the things Jesus griped about was the additions added to the law by the scribes and Pharisees. Luke 5:21 says: “professing themselves to be wise…the scribes”. Why has the distortion of the word been so prevalent, even from the beginning? It is because Satan has been against God from even before the beginning of the world. Those who promote the New Age Versions are promoting the One World Religion of the end times. As in the old adage: All it takes for evil to prosper, is for good men to do nothing, to not speak out about the “Apostate New Age Versions” is to do nothing. Even some expositories, concordances, dictionaries, Bible handbooks, and commentaries are suspect because they use the New Age Versions as their authority. Nearly all New Testament textural criticism, over the last hundred years, are based on the Westcott and Hort “New Greek” translations. The “Authorized” or “King James Version” is based on the “Majority Text” or “Traditional Text”. The newer versions are based on the less than one percent of old texts that disagree with the “Majority Text”. The texts that disagree with the “Majority Text” even disagree with themselves. The “Majority Text” otherwise known as the “Byzantine Text” is based on the texts from Greece, Constantinople, Asia Minor, Syria, Africa, southern Italy, England and Ireland. The “Alexandrian” or Egyptian texts have been referred to as a revision rather than the original. One of the reasons for the promotion of the New Age versions is financial. The King James Version is beyond copyright laws. 1. The need for personal conversion, or being "born again"
All of the following are part and parcel of Satan and his New Age movement: Spiritism, Pantheism, necromancy, divination, witchcraft, psychics, evolution theory, the occult, parapsychology, mediums, observer of times, enchanters, charmers, telepathy, clairvoyance, channeling, sorcery, wizards, familiar spirits, enchantments, astrology, mesmerism, hypnotism, to name a few. All of these things are anti biblical. Necromancy is sometimes referred to as “communion of spirits”. Deception by imitation is Satan’s stock in trade. Why do you think the Bible is so maligned and distorted while the writings of other religions are not? We can see that only the true Word of God is subjected to such undertakings. Satan knows the scriptures are come to us from God; his immortal enemy. Before there can be a counterfeit, there has to be an original. By Satan’s power of distortion, he hopes to divert man from the true to the false. The real shame is that he has been so successful. In recent past, as early as President F. D. Roosevelt, who put “New World Order” on our dollar bills (in Latin), we can see the subtlety of the New World enthusiasts. Only recently has this become more blatant. President George H .W. Bush, proclaiming to be a Christian, referred to his “dream of a new world order”. President Bill Clinton and Prime Minister Tony Blair are joined in an effort to mislead our school children by equating that all religions are all the same. President George W. Bush, proclaiming to be a Christian, has said there is more than one way to Heaven. President Barack Obama has proved to be the most anti Christian/pro Moslem president in history. Pope John Paul II said: “Everything must change. Tolerance is the alpha and omega of a new world order.” Talk about your slippery slope! Most people today don’t see what’s happening around them. It’s as though there were a swarm of invisible flies, buzzing around their heads chipping away at their sanity. Through the misconception of “if it feels good do it” society, we see the development of the “if it sounds right do it”, regardless of the unintended consequences. As Satan tickles their ears, men become unaware of the danger. The United Nations sounded like a good idea, but we see what a horror story that has become. The coming together of the religions of the world, for peace and harmony, sounds like a good idea (if you don’t know the real God). The Bible says not to join with them, entertain them in you home or wish them well on their way. The forces of false religion and Socialism are joining together to form the New World Order. The ruling of the masses, by the elite enlightened ones, has always been Satan’s plan: with himself at the center. The figure of the antichrist will be the servant of Satan as will also be the false prophet. The New International Version changes Hebrews 9:10 from “until the time of reformation” to “until the time of the new order”. Who tells us to watch out for those who call themselves Christian yet teach false doctrine? Jesus, Paul, Peter, and John all give us this warning. Faux Christians may be the most dangerous people in the world. They not only lead themselves into hell, but also keep others from finding the Christ. Matthew 10:28 says: "Don’t fear them which kill the body, but are not able to kill the soul: but rather fear him which is able to destroy both soul and body in hell." There are no atheists in Hell; not because they went to Heaven, but, that at the moment of death they are shown the truth. Everyone who dies WILL see God, and every knee shall bow and every tongue shall confess that Jesus Christ is Lord. Post death acceptance is not acceptable for salvation, but rather is part of the punishment. Everyone who has ever lived is alive today. Their place of residence is the question. The spirit of a man cannot vanish, it lives forever. 4. “An Understandable History of The Bible”, by Rev. Samuel C. Gipp, Th.D. If you will read these books you won’t be depending on me for your sole authority. We can see, from all the evidence, that God has protected and maintained the validity of His Word. 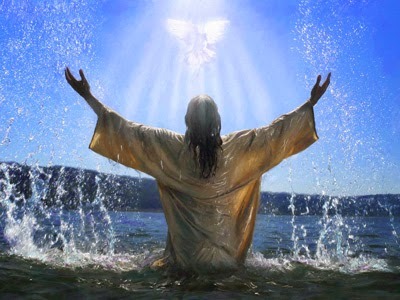 The newer versions attempt to nullify and or diminish the power of God, the divinity of Jesus, the trinity, the virgin birth, Jesus as the Christ, the indwelling Holy Spirit, the resurrection and ascension of Jesus, salvation through Jesus, the reality of Satan, the Creation and the second coming of Jesus Christ. We are instructed to keep looking up, in anticipation of the return of the Lord Jesus. The Jesus we are to be looking for is the Jesus of the King James Bible: not the diluted Jesus of the New Age Bible Versions. Everything should be viewed through the light of the Bible God has preserved to guide us. 2 Timothy 2:15 says: “Study to shew thyself approved unto God, a workman that needeth not to be ashamed, rightly dividing the word of truth.” Asking God for wisdom and discernment are valuable keys to prevent deception.